Ilio came to ARK with his brother when his previous owner had to be hospitalized. Still relatively young at 8 years old, Ilio, whose name means “dog” in Hawaiian, would be a perfect canine for someone looking for a mature companion. 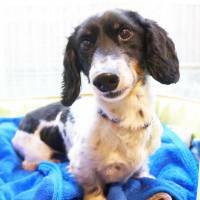 A silver dapple longhair miniature dachshund, Ilio weighs just under 5 kg, which is a perfect weight for him. He’s a good dog and doesn’t bark or get upset if left on his own for a bit, but he does love people. The pads of his feet are very soft and indicate Ilio may not have been walked much. Now, he’ll look very pleased to be taken out. Only just discovering the joys of excursions into the great outdoors, a walk in the neighborhood for Ilio is no less than a stroll through paradise. 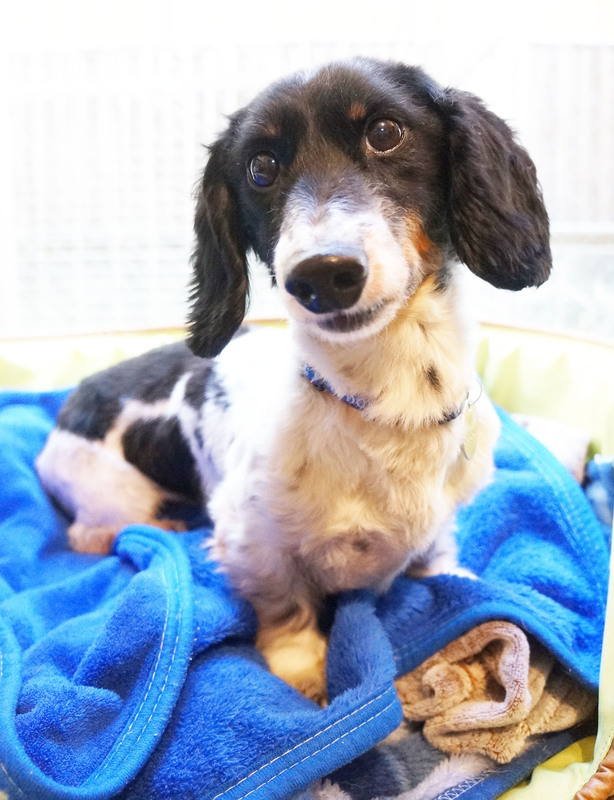 If you are interested in adopting Ilio, email ARK at Tokyoark@arkbark.net or call 050-1557-2763 Monday to Saturday (bilingual) for more information. Tokyo ARK is an NPO founded by Briton Elizabeth Oliver. It is dedicated to rescuing and rehoming abandoned animals. All animals are vaccinated, neutered and microchipped. Prospective owners are requested to undergo a screening process.